By Sunha Kim -- "Dave Roberts is a Man of the People"
Part of the thrill of going to spring training at Camelback Ranch is getting up close and personal with the players and coaches, and hopefully getting a few pictures or autographs. 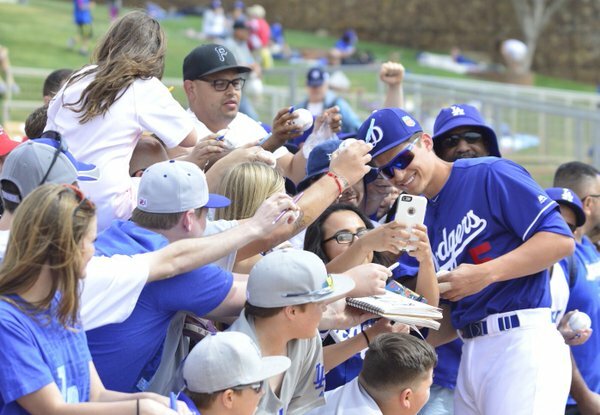 If you are solely going to Camelback Ranch to snap a pic or get a signature with the big stars, however, there is a chance that you will come away disappointed. 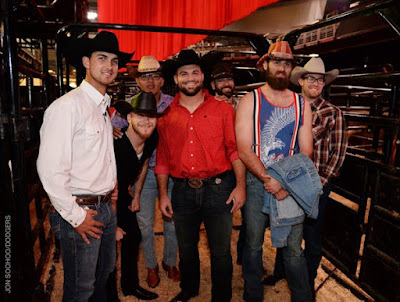 It’s not that stars are mean spirited, but it is important to keep in mind that these players are getting ready to deliver us, the fans, our first championship in nearly 30 years. Most of the time, the players are in their zone and ready to perform at the highest level possible. That's really cool to see! While it may prove hard to get personal with most the Dodger stars, there is one exception. I was at Dodger camp this past Friday, and I was lucky enough to snag an autograph share a story with new Dodgers skipper, Dave Roberts and Dodger legend Shawn Green. 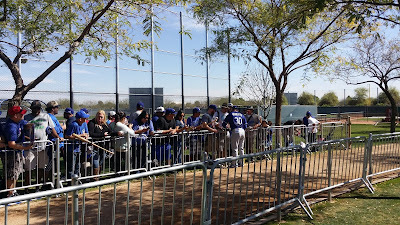 As almost every player walked straight from the field to the clubhouse after morning workouts on Friday, Dave and Shawn were kind enough to engage the large crowd that was waiting in the designated autograph area after practice. Sunha Kim is a lifelong Dodger fan and Boxing Journalist. His favorite player growing up was pinch hitting master Dave Hansen. 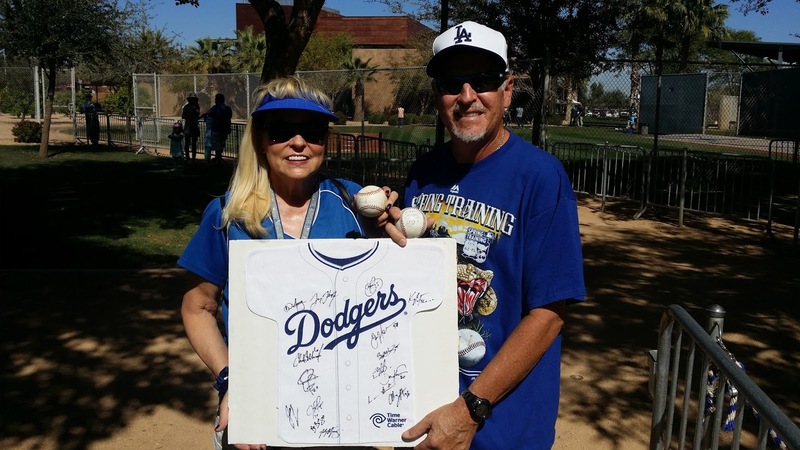 Sunha's writing has appeared in Yahoo!, the business news site Quartz, and now Dodgers Blue Heaven! Sunha currently hosts a boxing podcast called Kim On Boxing, and he is developing a baseball centric podcast with another Dodger fan called Bro Club Sports. Stay tuned and follow him @SunhaPKim! 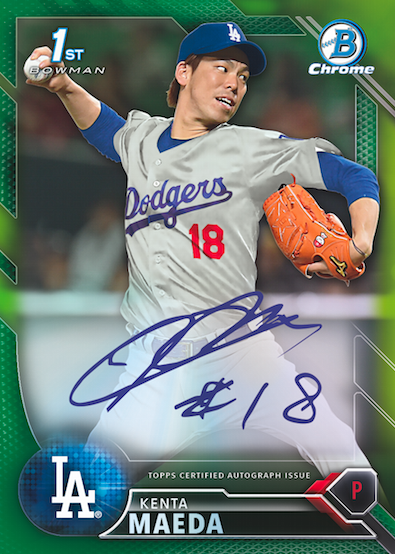 Take a look at some of the Dodgers insert cards available in packs of Panini's 2016 Donruss Baseball card set below. Go here to see all of my past post on this set. I should have pics of most of the relic and autograph cards later this week. 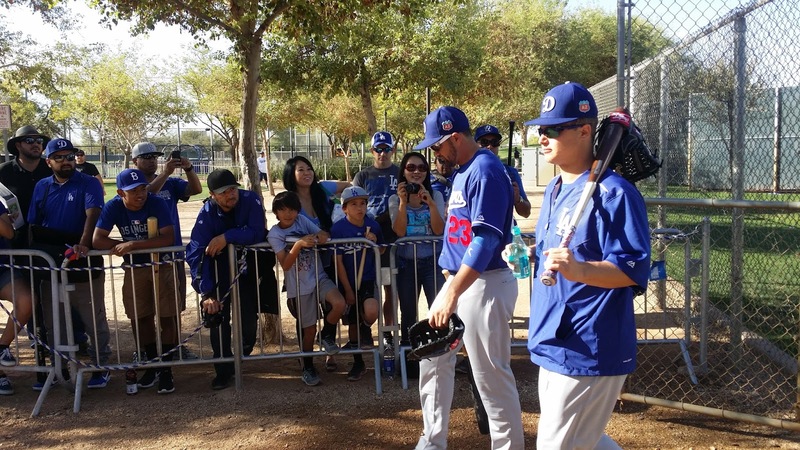 THE DREAM IS OVER: The Dodgers (3-1-1) dropped their first Cactus League game of 2016 yesterday, falling to the Indians, 8-5, at Camelback Ranch. Alex Wood was betrayed by a couple of early errors and ended up allowing four first-inning runs, which put the club in the hole early. Following Wood to the mound, Yimi Garcia (1.0 IP), Brandon Beachy (2.0), Louis Coleman (1.0) and Ian Thomas (1.0) all threw scoreless baseball. 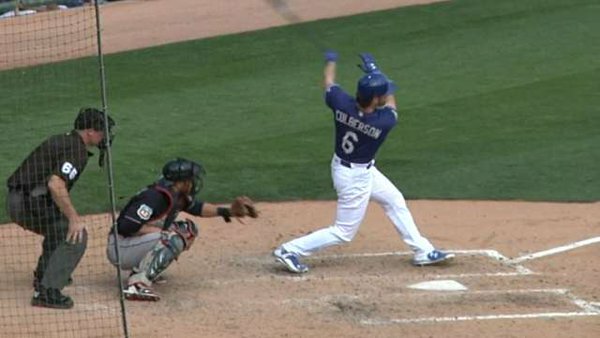 At the plate, shortstop Corey Seager was 2-for-3 with a double while infielder Charlie Culberson continued to swing a hot bat, cracking a three-run homer. Culberson is tied for the Cactus League lead with six RBI and has six hits in eight at-bats this spring (.750). The Dodgers were 4-3 against the Cubs in 2015, splitting a four-game set at Wrigley Field in June and taking two of three at Dodger Stadium in late August. This year, the Dodgers hit the “Windy City” May 30-June 2 and the Cubbies visit Los Angeles Aug. 26-28. 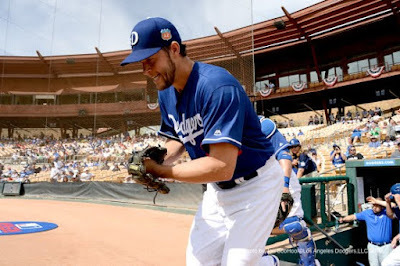 ON THE MOUND: Three-time Cy Young Award winner Clayton Kershaw will make his second spring outing this afternoon after firing 2.0 scoreless innings in the Dodgers’ Cactus League lid-lifter last Thursday. 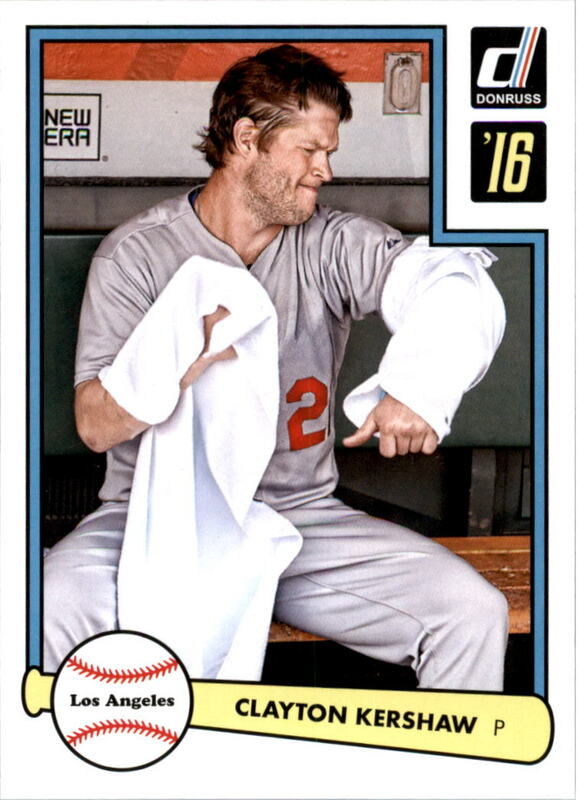 Kershaw will also be on the hill for the regular-season opener, April 4 at San Diego. 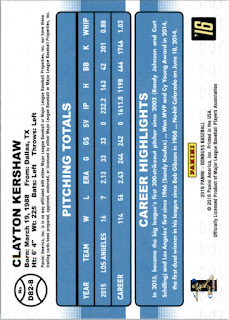 The Opening Day nod will be Kershaw’s sixth consecutive Opening Day start, leaving him one shy of the Dodger franchise record (7), shared by Don Drysdale (1958-61, ’63, ’65, ‘69) and Don Sutton (1972-78). Fernando Valenzuela (1981, 1983-86, ’88) and William “Brickyard” Kennedy (1894-96, 1898-1900) are the only other members of the franchise to tally at least six Opening Day starts. 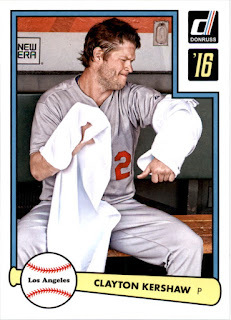 In 2015, Kershaw turned in his fifth consecutive All-Star campaign, going 16-7 and ranking third in the Majors with a 2.13 ERA in 33 starts. 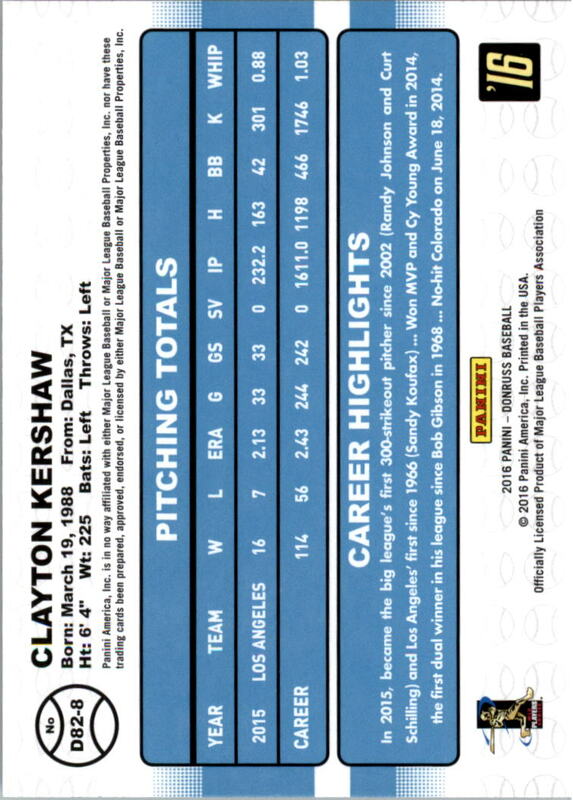 He topped the big leagues with 301 strikeouts in just 232.2 innings, joining Sandy Koufax (1963, ‘65-66) as the only pitchers in franchise history to eclipse 300 Ks. Last year, Kershaw went 3-0 with a 1.61 ERA in six Cactus League starts. RHP Joe Blanton will make his second appearance of the spring after tossing 2.0 perfect innings with three strikeouts against the White Sox last Thursday. Last year, he combined to go 7-2 with two saves and a 2.84 ERA in 36 games (four starts) with the Royals and Pirates. RHP Carlos Frias allowed a run in 2.0 innings on March 3 in his 2016 Cactus League debut and is coming off a 2015 campaign in which he went 5-5 with a 4.06 ERA in 17 games (13 starts) for Los Angeles. RHP Jacob Rhame worked a 1-2-3 inning with a strikeout last Friday in Surprise and is entering his fourth professional season. Rhame combined to go 3-3 with four saves and a 2.68 ERA in 44 relief appearances last season with Single-A Ranch Cucamonga and Double-A Tulsa. RHP Pedro Baez saw his first full big league action last season with the Dodgers, going 4-2 with a 3.35 ERA in 52 relief appearances. The hard-throwing former third baseman allowed a run and struck out two in his only spring inning of work last Friday against the Rangers. The Dodgers have three additional pitchers suiting up today from the minor league side: RHP Red Patterson (#89), LHP Grant Dayton (#84) and LHP Justin Richardson (#93).